International singing & songwriting icon Mariah Carey has announced her Caution World Tour, kicking off in February 2019. The multi-platinum selling, multiple Grammy Award winner will start the North American tour in Dallas and visit cities across the U.S. and Canada including Atlanta, Chicago, Atlantic City, Philadelphia, and more. Enjoy an evening with Mariah as she performs her latest songs like "With You" and "The Distance," along with selections from her timeless music catalog such as "Fantasy," "Honey" and "Hero." As a token of our appreciation, registered Honey B. Fly members who participated in a Honey B. Fly Live Pass presale from 2014 through Spring 2018 have been upgraded to HBF Legacy status! Thank you for showing your love and support at Mariah's live concerts and we know you'll enjoy the Caution World Tour experience! Tickets go on sale to the public on Friday, October 26 @ 10 a.m., but you can get early access to preferred tickets by registering for the Honey B. Fly Live Pass. 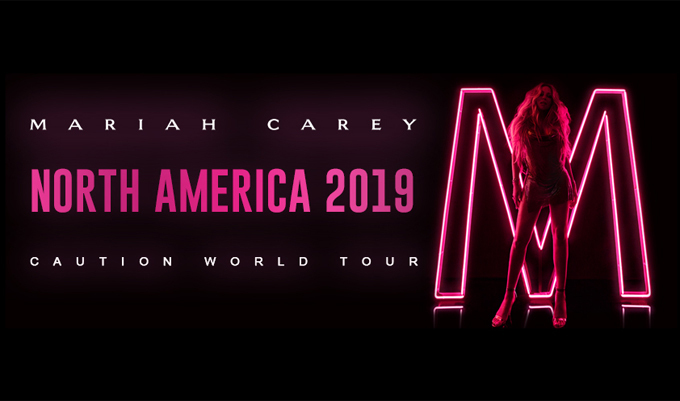 Our exclusive ticket presales for Mariah's Caution North American Tour begin Tuesday, October 23 at 10 a.m. local time. Legacy members receive early access @ 10 a.m. (code prefix HBML), then Junior (new) member access begins @ 11 a.m. (code prefix HBMJ). Code = HBMJ9ABC. ENTER: HBMJ+9ABC on the ticketing site. 3/18 PITTSBURGH: We will use a special member code for this presale (not your unique presale code), which will be displayed above the GET TICKETS link on the tour page. Use this code to access our presale on the ticketing site. There is an 8-ticket limit per code. You may purchase tickets for more than one show, up to the 8-ticket limit per code. You may renew your HBF Live Pass one time. A Live Pass renewal will issue you a new code for up to 8 tickets.